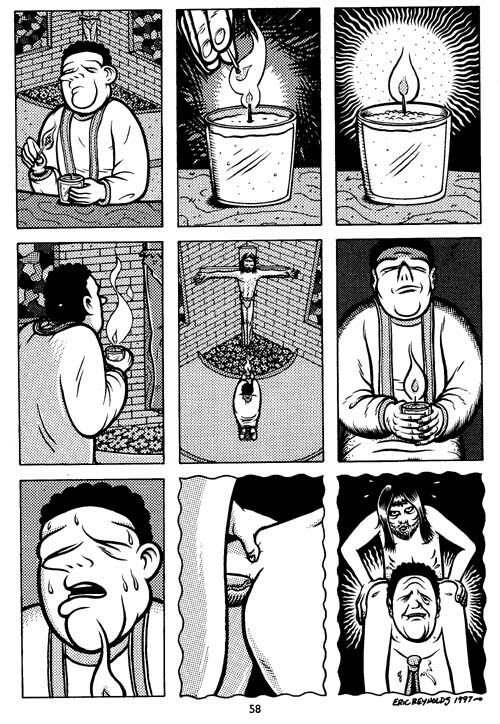 This is the second page of a two page story from DIRTY STORIES, titled "My Love for Jesus." The other page is on this site as well, and if anyone is interested in buying both, I will sell both for $100.00 total. Art is 10 x 14 inches, pen and ink on illo board.